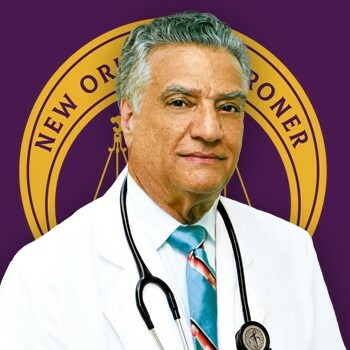 Dr. Dwight McKenna is a native New Orleanian with an extensive and exemplary record in public service. He is a graduate of St. Augustine High School. He studied at Xavier University and attended the University of New Orleans and the historic Meharry Medical College, where he earned his medical degree. He served his country as a surgeon in the United States Army with the rank of Major. After his honorable discharge, he established a practice in New Orleans as a general surgeon and general practitioner for more than 50 years. Dr. McKenna is the co-founder of McKenna Publishing Company and executive publisher of The New Orleans Tribune, a monthly news magazine that has served New Orleans, providing information and analysis for 32 years. He is also co-founder of The George and Leah McKenna Museum of African American Art and Le Musee de f.p.c., a house museum dedicated to interpreting and preserving the story and contributions of free people of color. He is married to Beverly Stanton McKenna. They are the parents of Dr. S. Mark McKenna and Monique McKenna Coleman. They have two grandchildren, Jane Owen Coleman and Milana Elle McKenna. As Coroner, Dr. McKenna will bring competency, honesty, and transparency to the Office. He will work with local, state and federal agencies to secure the proper funding necessary to bring the Coroner’s Office into the 21st century. Dr. McKenna makes one promise to the citizens of New Orleans–each death will be thoroughly and professionally investigated, and an accurate determination of each case will be properly and truthfully classified.